 The Scene Magazine - Page 4533 of 4581 - What's up Toronto? singer-songwriter and pianist Kyoko Shiina formed her own band fusing classical music with elements of jazz, pop and post-rock. In 2007, the bands core was formed when Shiina was joined by violinist Yukako Shiba and Eri Hayashi on contrabass. strong reputation through breathtaking live performances the band was quickly signed by Victor Music/Sophori Field in the same year. They were in Toronto as a part of the Next Music From Tokyo Vol.3 series a Canadian tour sponsored by Steve Tanaka, a Toronto area doctor with a passion for the Japanese Indie music scene. Next Music From Tokyo Vol.3 took Chiina to Toronto Oct 16, 2011 where I had a chance to sit down with them at Java House on Queen West before their performance at The Velvet Underground. Darrell: wow 5 shows in 6 days across Canada! Aren’t you guys tired? Darrell: would you do it again? Darrell: What are you doing? Youre putting salt in your coffee!!! Man you must be tired! Chiina: Yeah finally we got a few hours! It was a big show; I think it was sold out crowd. Darrell: do you prefer a large crowd or a small intimate crowd? Darrell: so is this your first big tour? How do you like it? Do you feel like rock stars now? Darrell: Weve often heard that saying Big in Japan So when you return to Japan after playing Canada, will the opposite be true? Will they think you are Big in Canada? And will that garner more respect for the band in Japan? Chiina: Yes its a big deal to play in Canada; I think people back home will talk about it a lot. Darrell: So why the name Chiina? Arent you guys from Japan? haha? How did you get that name? Wont people get confused by it? Chiina: Its actually the name of the lead singer of the band Shiina whose name is pronounced “chee-na” so its a little play on the phonetics of the name actually. We never thought wed get big enough to play in other countries, so we never really realized it or worried about it. Darrell: you guys have a very indie rock sound that is similar to Canada’s Montreal scene. It reminds me of Broken Social Scene or Arcade Fire, have you ever heard of those bands? Chiina: Weve heard of Arcade Fire, but this sound sort of evolved naturally, we dont really listen to those bands. But it would be nice to meet and play with them. Darrell: Your sound is very fresh and new. Are there any other Japanese bands that sound like this or that you guys can site as influences? Are there other bands using Double bass, violins and keyboards over rock riffs like you do? Chiina: None that weve heard so far Wed like to think were unique, I guess all artists think that way. Darrell: You guys sound like you’re all either classically trained or trained in Jazz, do you guys write down your music before rehearsals? How are your songs written? Can you describe the songwriting process? Chiina: we all have a classical background. Sometimes we chart it out only after the original idea is created by the singer. Then we just expand from there. Darrell: Where did you study? Darrell: You’ve had a few line up (membership) changes over the years would you say that this is the best line up you’ve had? Chiina: The drummer is only supporting right now, but the core of the band is stable and were happy with our sound right now. I think its the strongest weve ever sounded. Darrell: So in 2009 you guys signed with Victor Music/Sophori how did that happen? Chiina: The director from Sophori found our video on the internet and called us. At that time the music was more acoustic and we grew with the label to develop this rock sound that we have now. They really helped us to grow as musicians and a band. Because of the label we got to meet label mates Rega & Sawagi we hope to tour with them in the future. Darrell: Japanese bands usually sign record deals on salary where as here in North America its normally a number of albums. What type of deal did you pen? Darrell: After this Canadian tour, what’s next for Chiina? Chiina: Sleep! Were going to work on our album, but we have a small tour booked upon return. Darrell: What are you calling the new album? Darrell: Chiina release Canada? I think people will be confused! Darrell: Would you like to return to Canada? Any chance we can convince you to come to St. John’s Newfoundland? Chiina: YES, maybe on our next tour. Darrell: when you guys become big rock stars are you going to lose your grip on reality? Chiina: Well for now were still sleeping in small vans when were lucky ask us in a few years. Darrell: Any advice for other bands who are considering touring Canada?